Add the following code inside the "custom-form.php" file. You can remove the red lines. Make a new PHP file and rename it to "process.php" (It should be in the same directory as custom-form.php) . This file is responsible for sending the form data to your recipient email address. You can also implement AJAX for this process, but since I don't want to make it more complex I just chose the plain send. The admin@MyWebsite.com address is the destination address. 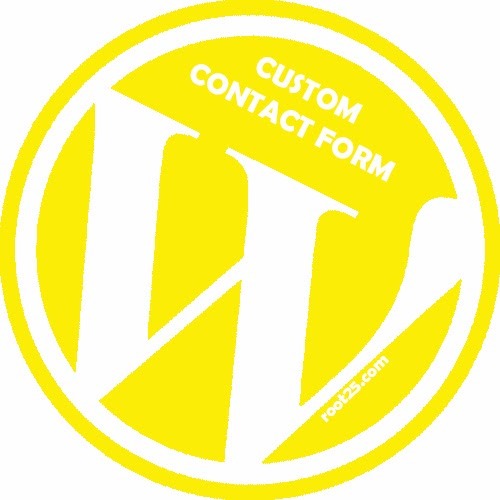 The New Message from custom-form@MyWebsite.com is the title of email. Now go to management section of your website, and proceed to the "Page" section from the menu. In the page section add a new page, and add a new page. Choose a title for your page. Under the title section of the page there is a section named "Permanent Link". In front of this section you can see the permanent address for the current page. For example "http://localhost/mysite/?page_id=132". Now you need to change the "custom-form.php" file name to "page-132.php". Another example is that if the premanent link of the page was "http://localhost/dun/?page_id=90" you need to change the "custom-form.php" file name to "page-90.php". Now you can access to the custom form by calling this path "http://localhost/mysite/?page_id=132". And you can locate this link anywhere in your website. Please remember if you add any content in the post body for this page, then it will appear on top of your form!